Our dogs are our family members. They complete our family and they are no less than our children. In addition to this, they always protect us in perilous situation hence they surely deserve a special treatment. All of us spend a lot while shopping for ourselves so that we can look smart but most often we ignore the family dog. A lot of people also prefer having a pug as their pet because pugs are happy, affectionate, loyal, charming, playful and mischievous. 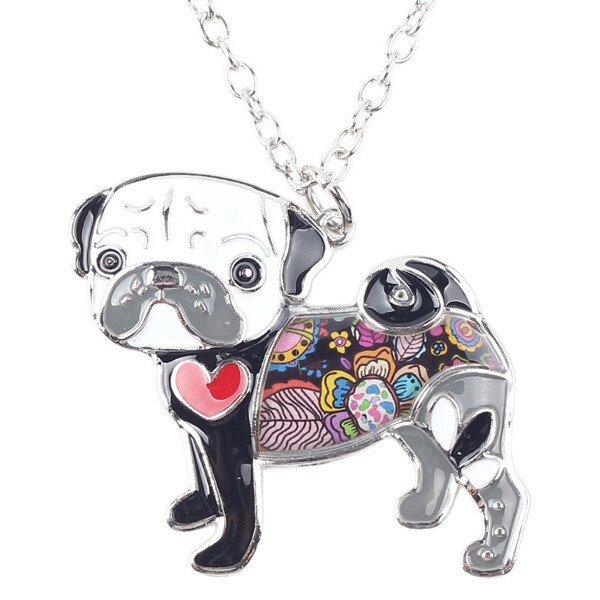 They are highly intelligent as well and in this short article, we have listed some of the things that you should take care of while you are purchasing pug clothes so that your pug can look smart in fancy clothes. Choosing the Right Size – The first important thing is to choose the right size. Pugs usually weigh between 14 pounds to 18 pounds and Small size of clothes are a perfect fit for them. However, if your pug is still growing up then you may consider buying an extra small size as small size would be a loose fit for your pug. In addition to this, you might want to consider buying a medium size shirt if your pug is a little obese. While visiting a pet shop, you may try a different size to ensure that you buy the right size for your baby. Choosing the Right Material – Choosing the right material of the clothes is also important and this should vary with the weather. There are places where the climate is usually extreme and the temperature can vary between two ends. In such a case, you might want to consider a thermal shirt for your pug in winters as this will protect him from the cold winds and the shirt will also keep him warm even with low temperature. These are the two important factors that you should consider while making a purchase of the pug clothes.